At Oakland Park Animal Hospital, our veterinarian staff is committed to supporting healthy and happy pets. We also are committed to respecting your rights as a pet owner. As part of our mission to provide compassionate and comprehensive veterinary care, we offer pet vaccinations in Oakland Park for cats and dogs, as well as providing pet education that will help you make informed health choices for your pet throughout its life. What Vaccinations Does My Oakland Park Pet Need? While not all vaccinations are legally mandated in every state, our Oakland Park, FL veterinary team strongly encourages all pet owners to get their cats and dogs vaccinated. Vaccinations protect animals against common preventable diseases, many of which can be astronomically expensive to treat--and not to mention harmful and potentially life-threatening for your pet! In any case, most pet vaccinations in the state of Florida are legally required. Plus, almost all boarding, grooming, and kennel businesses require up-to-date vaccinations for any cat or dog in their care. Pet vaccinations are strictly regulated, including the manufacturing, dosage, and age at which each vaccination is administered. *The first four are considered core cat vaccinations (recommended for all cats, regardless of exposure risk/lifestyle). A bordetella ("kennel cough") vaccination for cats is recommended, but not legally required. *The first four are considered core dog vaccinations (recommended for all dogs, regardless of exposure risk/lifestyle). A Lyme disease vaccination for dogs is recommended, but not legally required. Like with human vaccinations, pet vaccinations do carry a very small risk of complications. Side effects are rare, and if present at all, typically are mild and short-lived. These may include swelling and irritation at the injection site, lethargy, decreased appetite, and respiratory symptoms such as sneezing or mild coughing. It's important to speak with our veterinarian about any questions or concerns you have about your pet's health. 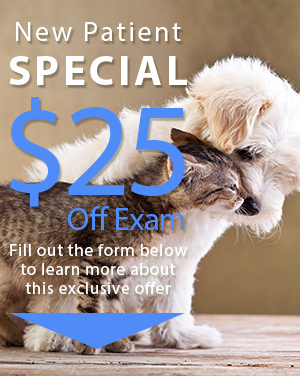 Prior to administering any vaccinations or medications, our Oakland Park vet will discuss all the risks, signs and symptoms to look out for, as well as any specific recommendations for your pet's breed and age, including when to vaccinate and any annual boosters that may be recommended. Is time to schedule vaccinations for your cat or dog? If you have a furry friend at home, see your vet regularly to stay up-to-date on all the necessary pet vaccinations. Remember, most of these are legally mandated. 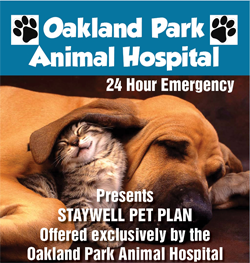 To schedule an appointment for your convenient Oakland Park vaccinations for your cat or dog, call us at (954) 731-4228 or visit our animal hospital today. We look forward to working with you and your pet!